Enadoc holds to be your versatile document management system. It continues to evolve as it adopts newer technologies and usability features to improve user experience and functionality, aside from a sleeker user interface. This update mainly provides much-awaited DMS capabilities that would aid the use of its primary target users: HR, finance, and IT departments across industries. Stamps – this annotation type allows users to mark a pdf file either approved or denied. Along with the annotations are functions to split, combine, and bookmark pdf pages, much like a of a pdf reader. The main difference is that you can do it straight from My Workspace and smoothly upload it to Enadoc. Since My Workspace has introduced document editing capabilities, access to document versions was also added to the arsenal. You can access document versions without the need to ask permission from other users, making the collaboration process faster and efficient. This also shows the name of the user who edited the file and the date and time it was changed. 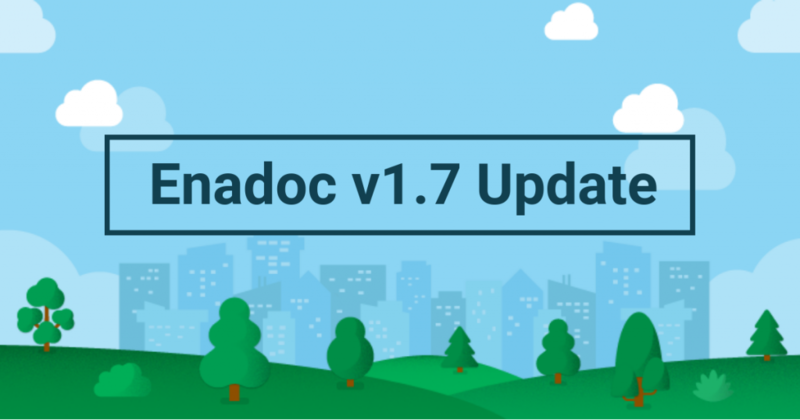 To further enhance document security and authentication processes, Enadoc 1.7 gives invisible watermarking feature that allows you to put and track digital watermarks to embed your preferred authentication data to a document. To use this feature, it should be downloaded from the Apps & Services Panel in Enadoc. Saving at least 10 past document searches, this feature lets you retrieve results whenever you need them. View each past file search in the Search History dropdown list in the Advanced Search page. Whenever putting a reference tag to a document, a dropdown list filters the values allowing a much smoother tagging process. 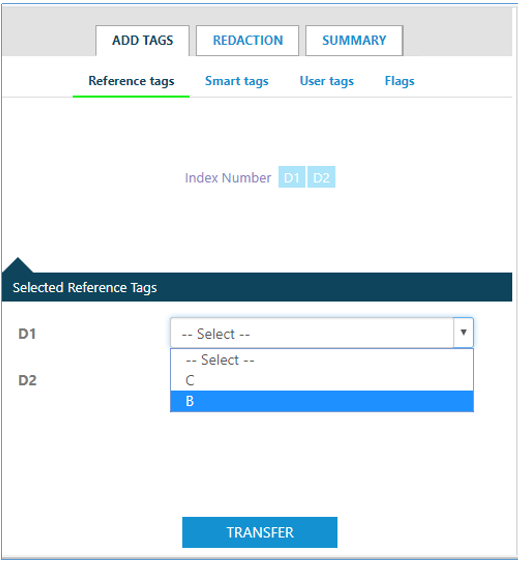 Smart tags can now be generated from documents that has barcodes or QR codes in them. Webhooks can now be used to capture event data such as document metadata. These are just a glimpse of the new additions Enadoc has for you. We’ll surely keep you posted of the upcoming updates and features to aid your use of this top-notch document management system. Experience its mobile-behalf! Download you free version of Enadoc 365 on Android here and IOS here. Want to know more about these updates? Talk to us.